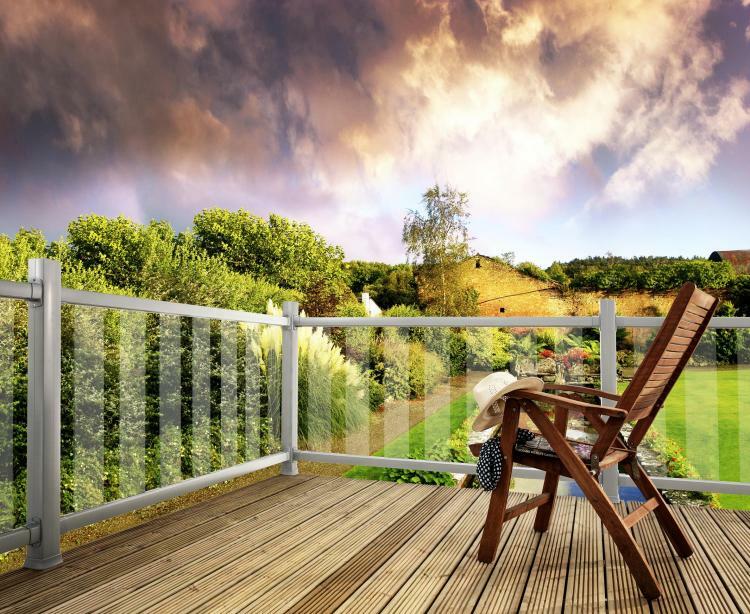 What is a garden without a decking? It isn’t half as easy to host al fresco dinner parties (when the weather allows), or sit and while away the hours with your family. But when you do have decking? It’s glorious. Drinks, card games, celebrations and much more feel that little bit more exciting when out in the fresh air! A garden complete with wood and glass decking is more than just outdoor space. It is a place for meetings, parties and gatherings. Detract away from your sparsely planted borders with your decking area, complete with garden furniture and arrangement of pots. Now that holiday season is almost upon us, this is the perfect time to have a make-over project up your sleeve before the celebrations start. Think about the amazing possibilities afforded to you with a modern and contemporary decking system and you’ll wonder why you don’t have one already. Your standard decking system is primed and painted wood, with railings and steps that welcomes and invites you into your garden and outdoor space. However, with our modern and stylish glass and wooden balustrade, your guests will be wowed! Separately, these materials can inject life and soul into your garden, but together they create the perfect harmonising symphony for everyone will marvel at.Glass and wood is a perfect combination of style and substance with an incredible visual presentation. Including wood and glass decking in your garden could not be easier with Blueprint Joinery. Although a traditional addition to your outdoor living space, a decking system doesn’t have to be boring and mundane – leave that to your trellis! Instead, add a system that is stylish and modern for impact, and allows you to view your entire garden without disruption. Choosing the highest quality materials is important, but that doesn’t have to leave you in the red. All of our decking systems here at Blueprint are affordable and built to last. As a deck owner, the safety of kids and pets is paramount and you want to keep them safe from falling or slipping on them. The glass panels are toughened to ensure their safety and they allow you to see the rest of the garden more easily, too. What’s more, thanks to the treatments we use and the materials used, your new wood and glass decking will be weather resistant and look good all year round. The sun won’t bleach your decking and the glass will stay strong no matter what the weather. There are many more benefits to be found when looking for your new decking system, but for more information, please do not hesitate to contact us on 01691 671020.